In the 2013 music video for DJ Khaled’s track “No New Friends,” Drake donned a No. 22 Damon Stoudamire retro Toronto Raptors jersey (which is one of the best throwbacks of all time.) In 2014, he posed at the Versace Mansion alongside Neymar Jr. while hoisting the Brazilian soccer star’s No. 11 home Barcelona kit. Later that year, at a show in Washington state during the Drake vs. Lil Wayne tour, he wore two different Marcus Mariota No. 8 Oregon jerseys, during the now-Tennessee Titans quarterback’s Heisman Trophy-winning campaign. On a stop in Iowa during his Summer Sixteen tour, he wore a blue No. 25 basketball jersey with “Drake” stitched across the chest, although it wasn’t a custom piece. He was actually repping the men’s basketball team at Drake University, which is located in Des Moines, Iowa. This year, Drake arrived at the Raptors’ opener to the NBA playoffs in a white, green and gold Humboldt Broncos jersey, honoring the 16 members of the Canadian junior hockey team who died in a fatal bus crash in April. It’s almost like he’s trying to bring back the early- to mid-2000s jersey wave in hip-hop — only his are fitted, not baggy like the MCs wore them back then. Before the ongoing Aubrey & The Three Amigos tour, Drake broke the internet when he teased both a Nike x “October’s Very Own (OVO)” soccer kit and basketball jersey. That’s right, he has two of his own jerseys, though neither piece has been released for retail by the global sportswear brand. On the tour, however, lucky fans have been selected to take home the basketball jersey. 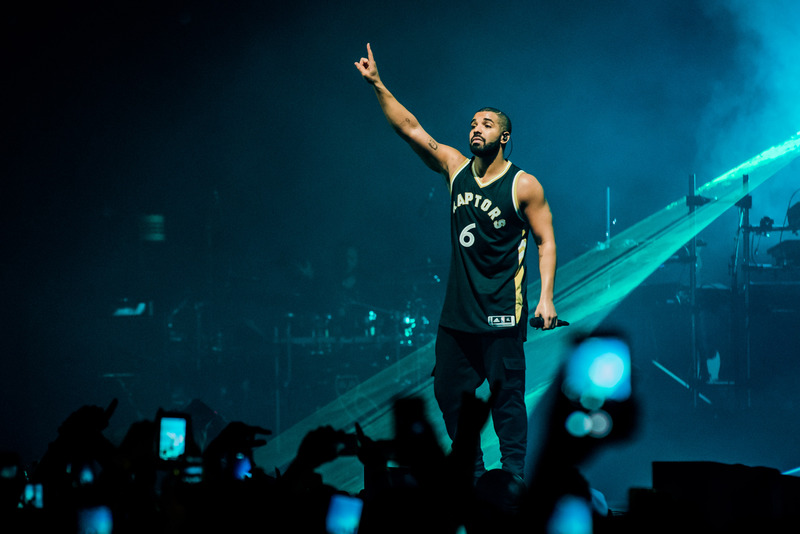 Whenever Drake hits a stage, shoots a music video or posts on Instagram, it’s very likely he’ll be wearing a jersey. These are some of the best he’s worn, starting at The ESPYS in 2014 and ending at his stop in Washington, D.C., last week on the Aubrey & The Three Amigos tour. What’s the best way to shoot your shot at a WNBA player? Wear her college jersey. That’s exactly what Drake did in 2014, when he hosted ESPN’s annual awards show, The ESPYS. During an onstage skit that allowed him to spit some game at Skylar Diggins, the No. 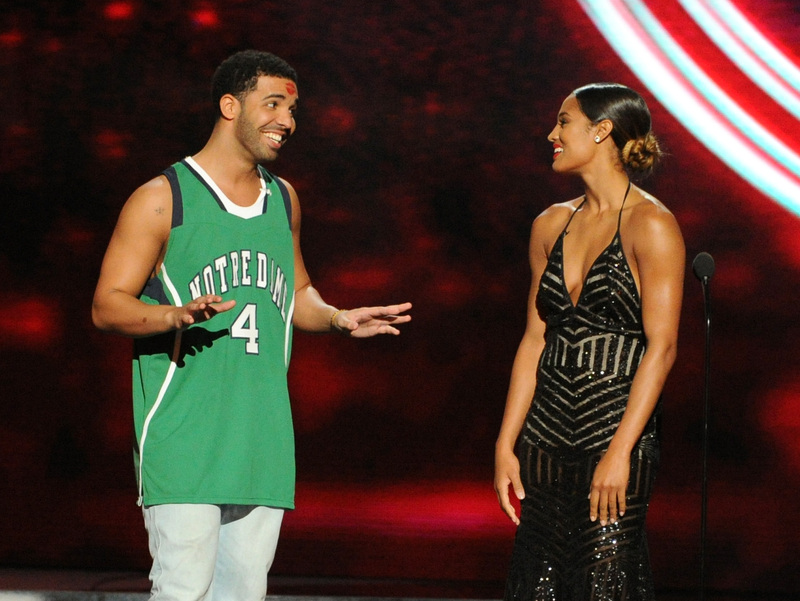 3 overall pick in the 2013 WNBA draft, Drake wore a green version of the jersey Diggins wore at the University of Notre Dame, where she played from 2009 to 2013. Clearly, he took a page out of the book of his mentor, Lil Wayne, who wore a white version of Diggins’ college jersey in 2011 at one of his shows in Indiana. When it comes to jerseys, one thing’s for certain: Drake always puts on for the broskis. And he especially did so in Tampa, Florida, during the Summer Sixteen tour. Before the show, his public relations team reached out to the Eastern Florida State College men’s basketball program in hope of getting a jersey similar to the one worn by Ahmed Ali, then a freshman point guard from Toronto. Ali met the rapper after he dropped a monstrous 103 points in a single high school game in their hometown. 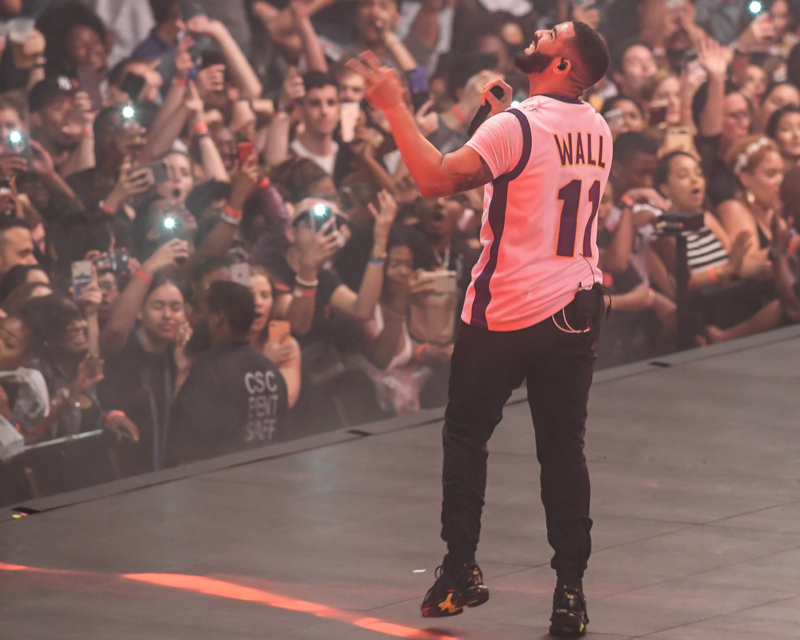 So stitched on the Eastern Florida jersey that Drake appeared onstage wearing was the No. 103 in tribute to his lil’ homie, Ali. The school even posted a story about the moment in the news section on its website. That’s how much Drake’s wardrobe choice meant to the college. Drake didn’t miss with the lineup of NBA jerseys he came out rocking on the Summer Sixteen Tour: Michael Jordan, Julius Erving, Kobe Bryant, Devin Booker and even Derek Fisher as a way to not so subtly throw shade at Matt Barnes over Rihanna. But the most important one of that tour? The No. 35 Kevin Durant Golden State Warriors jersey in white. Don’t forget that Drake shouted-out Durant on his Views track “Weston Road Flows” — A lot of people just hit me up when my name is mentioned / Shout-out to KD, we related, we get the same attention / It’s rainin’ money, Oklahoma City Thunder / The most successful rapper 35 and under. But about two months later, Durant left the Thunder to sign with the Warriors. So while performing at Golden State’s Oracle Arena, Drake couldn’t help but support the team’s newest superstar. How did Drake get his hands on a No. 12 red Zion Williamson Spartanburg Day High School jersey? Who knows? Regardless, he added it to his collection and casually flexed in it on Instagram as the ultimate co-sign to the massive 6-foot-7-inch, 285-pound five-star basketball recruit (and dunking machine) from South Carolina. “When your favorite rapper wears your jersey,” Williamson told USA Today Sports, “the feeling is sensational.” The 18-year-old is now a freshman at Duke. You know what that means? His No. 1 Blue Devils jersey is already in the mail and on its way to Drake’s crib in Calabasas, California. Florida A&M? Nah, fam. Drake loves historically black colleges and universities, but this isn’t a FAMU jersey, even though the colors and mascot, Rattlers, are the same. In the music video for his viral hit “In My Feelings,” the No. 1 song in the country for 10 straight weeks and counting, Drake wore a No. 15 home white DeMarcus Cousins jersey, inspired by the one the four-time All-Star wore at LeFlore Magnet High School in his hometown of Mobile, Alabama. Pretty sure Drake and Boogie are the only two people in the universe who own this jersey. We second that salute to the jersey king Aubrey Drake Graham for always bringing the heat. Remember when Drake debuted the Toronto Raptors’ newest alternate for the 2015-16 season, a black jersey with gold and white trim, onstage at OVO Fest? How about the time we caught him on Instagram “hooping in a game-worn” No. 23 LeBron James St. Vincent-St. Mary High School jersey? Only Drake, man. He must have the plug.